-The best price on the market. Our wide range of products across all 4 of our divisions keeps us on the forefront of the market. Praten hosting is no exception. We offer a large range of personal and business web hosting services, with a plan to suit the needs of you or your business no matter how big or small. Our personal web hosting package gives you 5GB of web space alongside unlimited bandwidth and 50 mailboxes, providing you with an excellent value for money service. 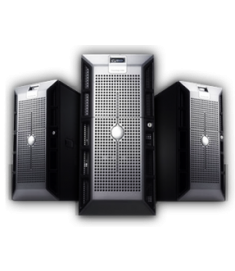 With our personal and business virtual and dedicated servers you can rest assured your information is safe. We also offer a huge range of domain names. All this provides us with the flexibility to suit you and your website. Our email hosting services give you a vital tool to use personally or within a business, with more options to choose from including extras such as free outlook software. With our backup solutions you can have absolute confidence that your important documents and information is safe within our system and with our easy to use software we will help guide you through the process, your protection begins as soon as your first upload is complete. Our service is fast, reliable and with a schedule tailored for you, you will never lose an important document or file again. With our broad range of hosting services you can gain access to one of the fastest hosting solution providers in the industry, allowing you to go that bit further. We offer a variaety of bundle packages, allowing you to choose what’s best for you or your business. At Praten we strive to offer the best price on the market for our customers. We are dedicated to delivering a flawless service. This is why we have tailored payment plans and deals to suit each customer. Our deals range from short term contracts to long term hosting solutions, meaning we can always achieve what is best for you.